Congratulations to Kate & Sean! 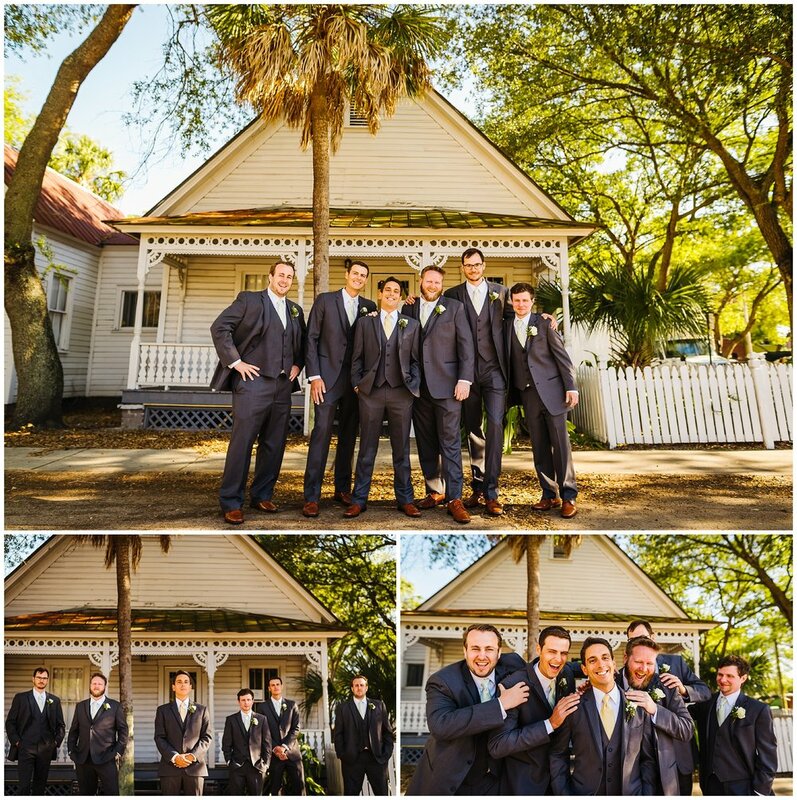 Their wedding day had us grinning form ear to ear! 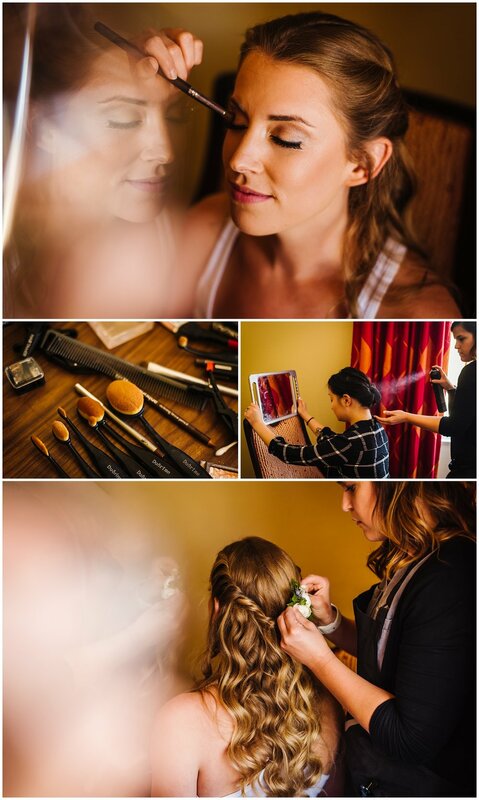 Kate’s effortlessly romantic and bohemian style permeated the entire day. All of her details were so lovely and natural, we especially loved the succulents in all of the florals! Her simple strand of pearls was the perfect accessory for stunning blush dress and can we talk about how perfect her hair and make up was! Huge shout out to Jessie who saved the day in the beauty department! Kate’s good friend from Maryland was responsible for arranging all of the gorgeous florals alongside the amazing vintage finds Kate had been collecting. Yep, this bride has big amassing this collection over years! She picked out every single vintage piece of lace and jewelry. The votive candles, macrame, and assorted flowers and succulents created such a unique and beautiful atmosphere! 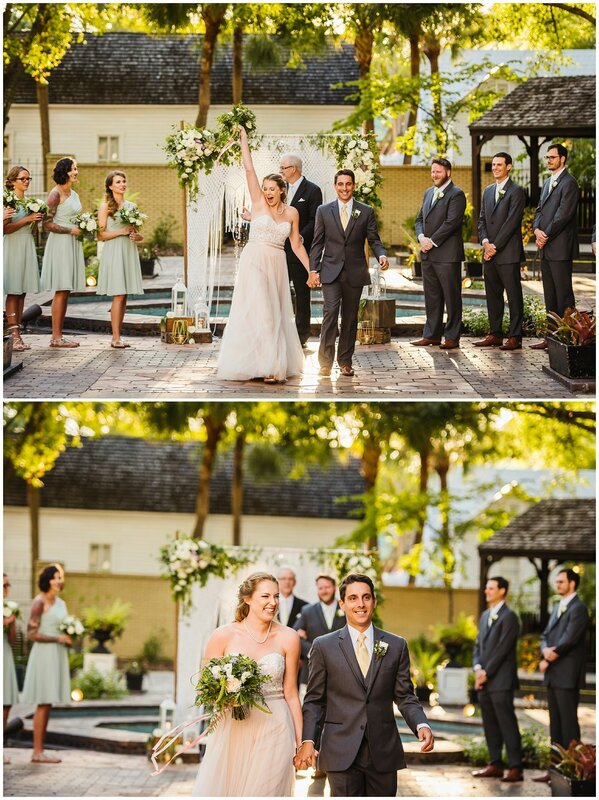 We just loved the beautiful ceremony at the Ybor Garden Museum! The courtyard with all of the greenery, lamps, fountain, chickens, and even a friendly tabby cat was the perfect place for their I Do’s. Michael DeArruda was amazing! He had everyone laughing and crying. It was perfect! This was such a fun group of friend’s too! Even though we lost a bridesmaid to a severe migraine she was actually able to rally and made it to the reception! Walking over to the Grand Room with just our newlyweds was so much! The sun was setting and they were so overjoyed to walk hand in hand. How smart was Kate to have those amazing metallic flats from Free People?! 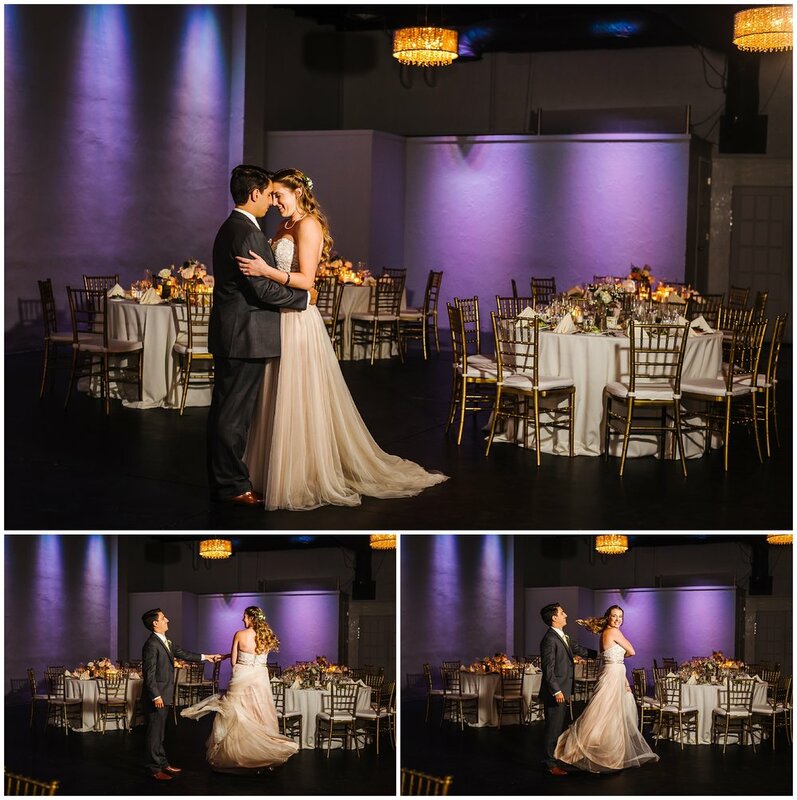 Their reception room was stunning! We even snuck in for a room reveal and mini dance. Huge thanks to Days Remembered for pulling everything together! They kicked off the night with amazing toast and even a Smirnoff Icing…yup. Family friends played the dance floor with moves and lifts like we’ve never seen! We are so happy for these two! We hope you enjoy the highlights from their amazing day!